When you have three children, it can be difficult to get everyone together for one photo to celebrate special moments together. Because of this, I always aim to get a few full group shots of the family before moving to a freer more candid style of photography. 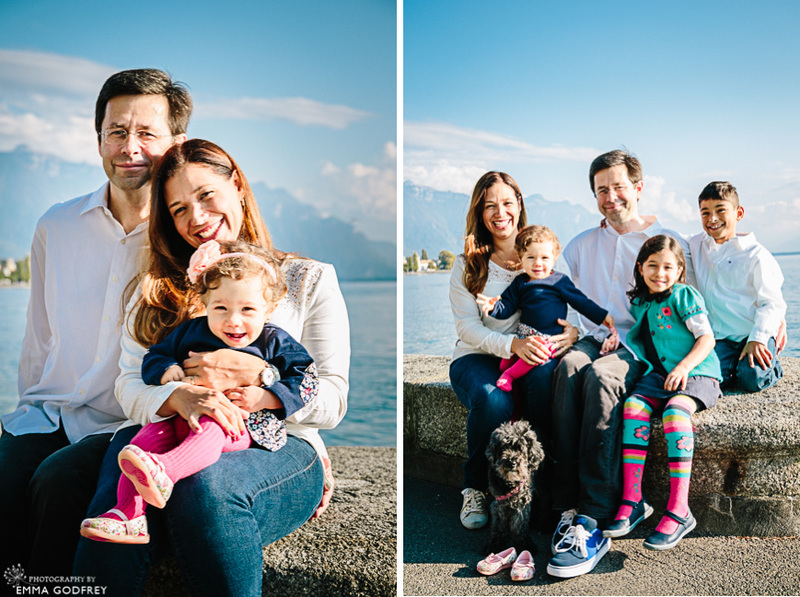 For Sylvia and her lovely family, we were able to get some shots lakeside in Vevey before her eldest two were running around chasing each other. 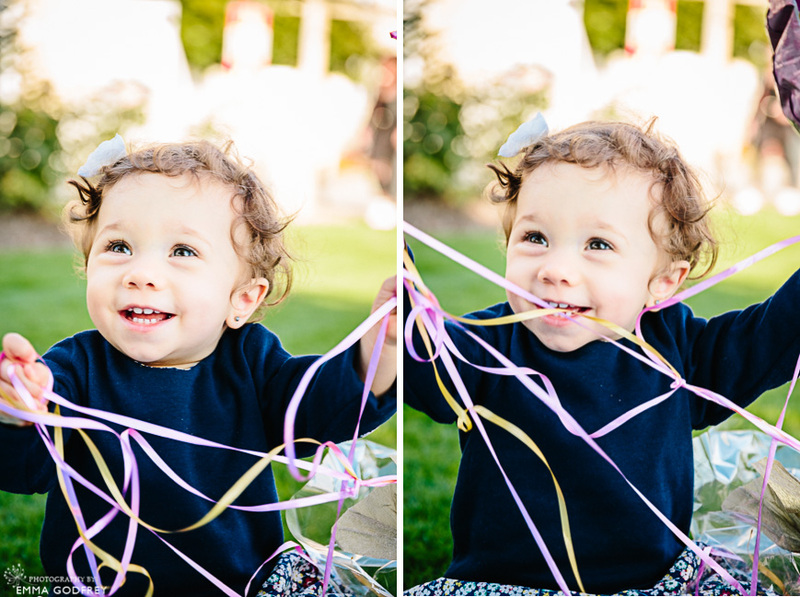 Then, as Giulia was the first birthday girl, we concentrated on her youngest on her special day. 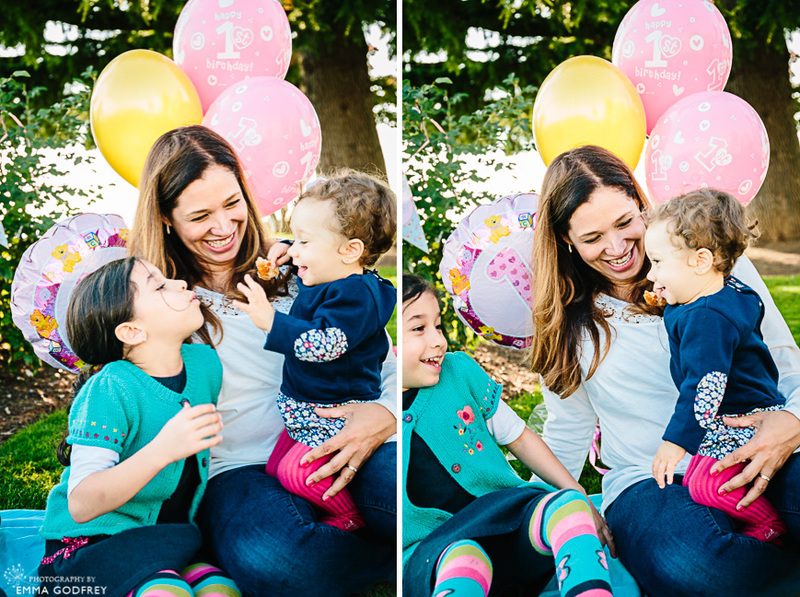 My style is to try to capture you interacting with your children in as natural a way possible. 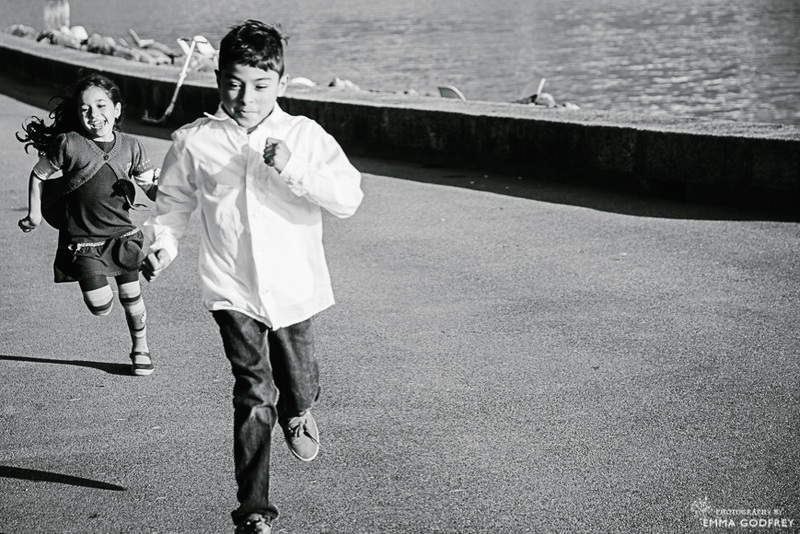 To this end, I try to give as little instruction as possible and encourage parents to play and interact with their children just as they might without the camera. It’s not always easy as we are programmed to look and smile when someone is taking our picture, but after a few minutes people often forget I am there. 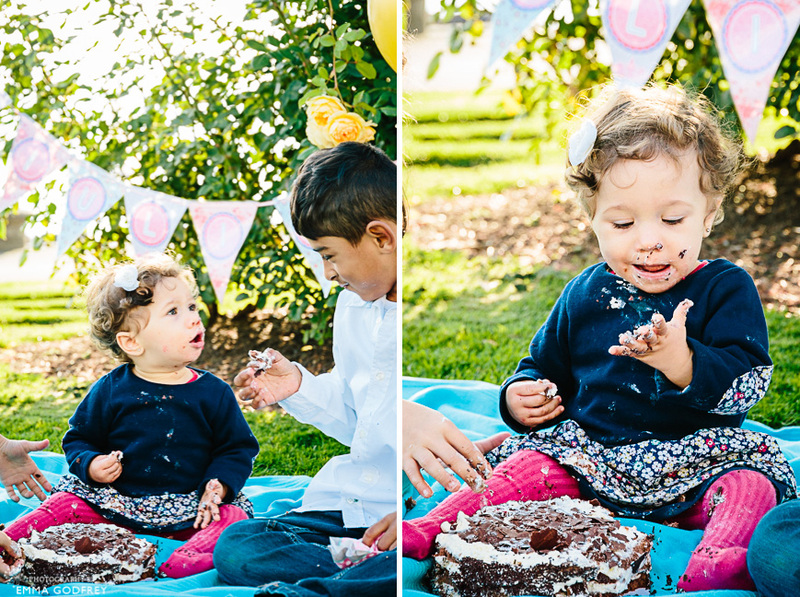 Sylvia was really keen to include a cake smash for Giulia. So after a few pictures by the lake, we found a shaded spot to set out a picnic and some balloons to set the scene. Giulia’s brother and sister were great at keeping her entertained, making her smile and distracting her attention from the camera. 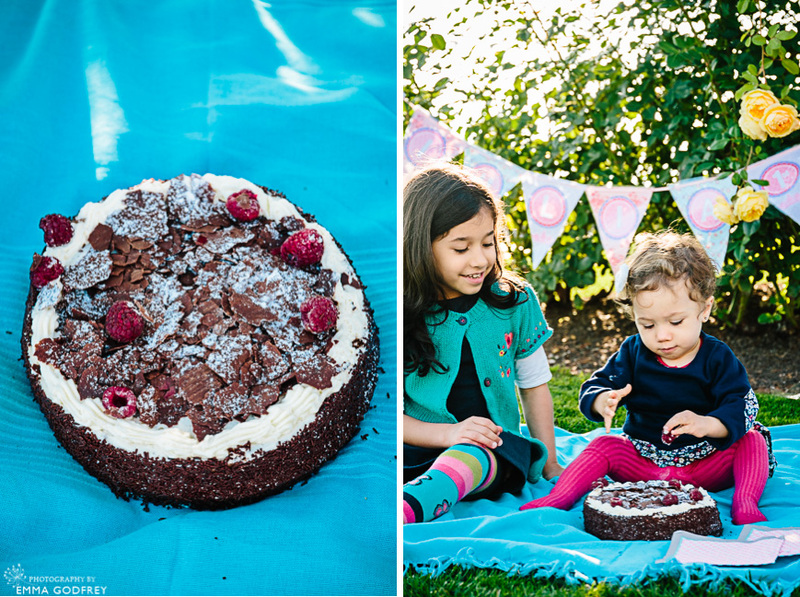 When it came to the chocolate cake, Sylvia admitted that it would be the first time Giulia had had chocolate. We had to add some raspberries to encourage her to eat. No fruit was necessary for her siblings, who were happy to show her how ‘not’ to eat cake! People often contact me about family photos, knowing that they want beautiful, professional images but not really thinking about what they would like to do with those images. 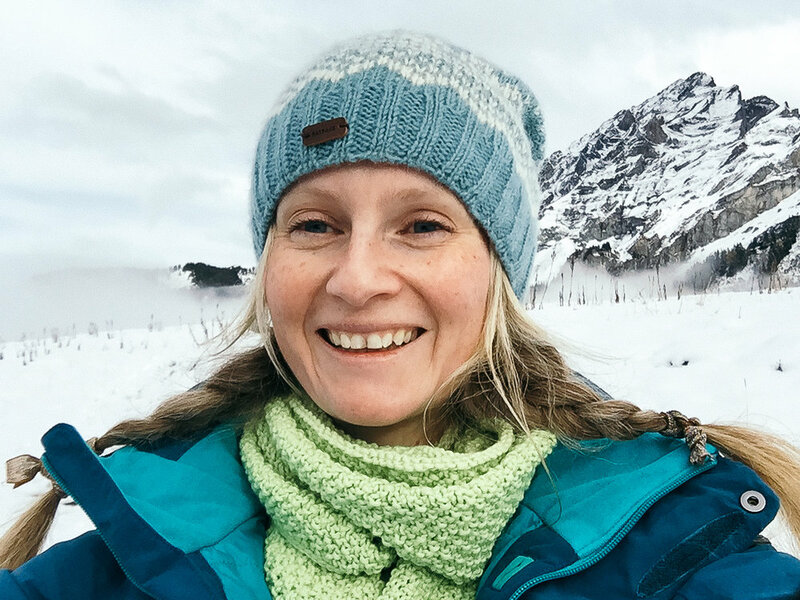 While I do offer digital hi-resolution files as part of my collections, I think that it is a shame to spend time and money on a professional photographer and then print out low-quality prints or just post the images on social media. I want all my clients to go away with something they can cherish, look back on and enjoy for years to come. This is why I offer portrait collections that come with albums, canvas clusters, framed professional prints and special packs of prints that look like paintings. To find out more, please get in touch via the contact form.